The second disc was “Long Walk to Freedom” taking the name from the song “46664 (Long Walk to Freedom)” that Bono had co-written. 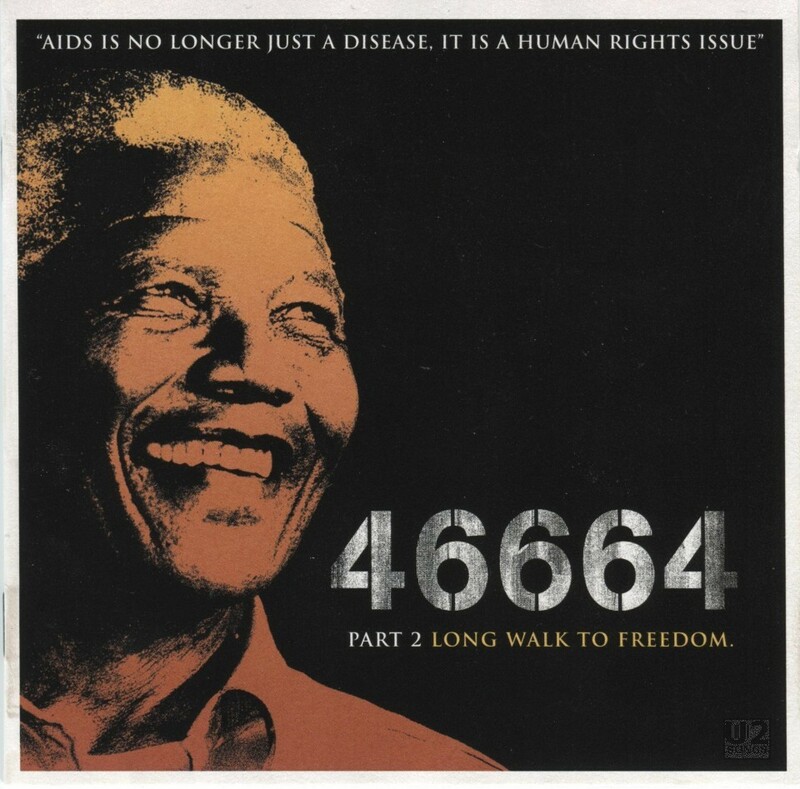 The performance of “46664 (Long Walk to Freedom)” is featured on this disc and the live performance featured Bono and The Edge performing the song with David A. Stewart, Youssou N’Dour, and Abdel Wright joining them on the song. A studio version of “46664 (Long Walk to Freedom)” was released as a digital download during the early days of the campaign, just shortly after the concert had been announced. That version of the song featured the same vocalists who perform the song here. This live performance was the first time that the song had been released in a physical format as the studio version was only made available as a digital download. Written by Strummer, Hewson, Stewart. Performed by Bono, The Edge, David A. Stewart, Abdel Wright, Youssou N’Dour. Recorded by Justin Shirley-Smith and Toby Alington. Mixed by David Richards and Josh Macrae at Moutain Studios (Montreux Switzerland) and The Priory (Surrey, UK).